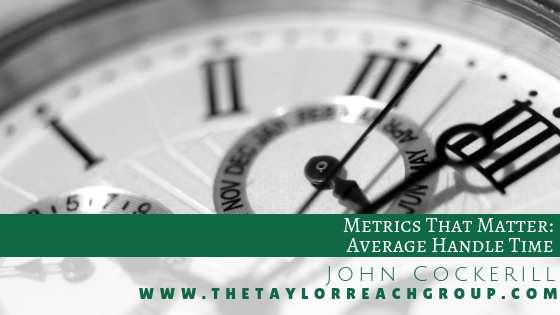 Metrics That Matter: Average Handle Time | The Taylor Reach Group Inc.
Average handle time is a wonderful tool. Everybody uses it and they believe they use it correctly. It’s a good measure particularly when you’re looking in a specific channel as to what is the midpoint of all of the call (contact) lengths that you’re taking in the center. One of the issues that often occurs is that often people are trying to manage agents to a particular average as opposed to recognizing that the average is simply a midpoint of all the conversations that are taking place in that channel. Think: you’ve got some easy, straightforward calls such as, “what is my bank balance,” to use a financial example, or, “I just need to change my address,” to longer, more complex calls like, “why is this transaction taking place,” or, “I need to fix this within the record that I have.” So each channel has a variety of calls. Each with different lengths and complexity. Also there are often differences between agents as well as the calls they take. Long term, experienced agents are capable of handling more complex calls and handle simple calls faster than new agents. 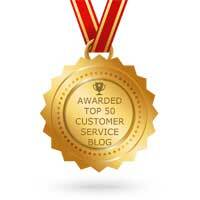 This makes their easier calls look shorter in comparison to the same calls handled by newer agents. At the same time the complex calls they handle can be longer than everyone else’s due to the nature of the call. A more useful measure and application for AHT is as the normal range of calls. Then manage down the agents that have abnormally long calls without explanation or abnormally short calls without explanation. Both the unusually long and short calls are issues for a contact center, particularly if you’re watching agents and they are trying to manage their time back and forth. The risk in only managing to the average is all agents then watch their time and don’t focus on fixing the callers problems the first time. It’s an issue that you need to be aware of and understand that the average is simply one of the measures of handling time and needs to be used in context. Follow Taylor Reach and John Cockerill on Twitter at @Taylor_Reach and @johncockerill. To find out more about how Taylor Reach can help your company with average handle time, CLICK HERE to schedule a free consultation.